A new research in cognitive science suggests that our memory also records physical sensations as part of the words stored. According to a study published in research journal ‘PLOS One’, similar to an entry in a reference book, the brain records a word like ‘whisk’, associating it with concepts such as ‘inanimate’ and ‘kitchen device’. “In addition to this, the brain connects the word to one’s own experience—how a whisk feels, for instance, and that a spinning motion is related to it,” the researchers said. The study was conducted with 28 participants, and it was found that when the study participants had to grasp an object while reading, their brain processed parts of the meaning of the words earlier than in previous studies in which words were evaluated without something being gripped. “The participants sat in front of a computer screen, where three cubes were lying next to each other on the tabletop—one about the size of an apple, one the size of a table tennis ball and one the size of a dice. On the screen behind the cubes, three white fields were displayed. Words then appeared in one of the fields on the screen—sometimes made-up words, sometimes real ones. When a pseudo-word such as “whask” was displayed, the participants did not have to do anything. But if a real noun like “orange” appeared, they were supposed to grip the cube corresponding to that respective field,” the study explained. With the help of an Electroencephalography (EEG) electrode cap that recorded brain activity, researchers evaluated how the word was processed. 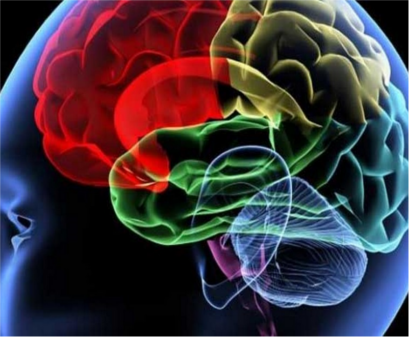 Earlier researchers have shown that it takes a brain a third of a second to process a word. “In our study, however, we were able to show that comprehension can already begin much earlier, after just a tenth of a second—if a grasping action is required,” explained Dirk Koester, Bielefeld University, Germany. This study not only provides evidence that the brain has a common control center for language and movement, but it also shows that our brain’s processing steps shift very quickly and adjust to current tasks - in this case, the task of grasping something while reading,” Koester added. According to the researchers, the method could offer an approach for new therapies, such as treating stroke patients.